Chinese smartphone maker Vivo has launched the Y93 Android smartphone in India with an aim to capture a greater share of the highly competitive budget segment in the country. The Vivo Y93 made its debut in China last month and shares a similar design to the more expensive V-series smartphones from the company. In India, the Y93 takes on popular budget Android smartphones such as the Xiaomi Redmi Note 6 Pro and the Realme 2 Pro. 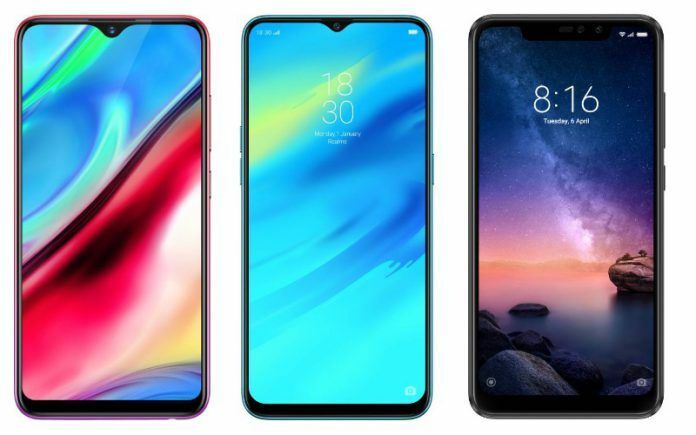 We will be comparing the prices and specifications of these three smartphones today and find out if the latest Vivo smartphone has what it takes to challenge the Xiaomi and Realme smartphones dominating the budget segment in India. 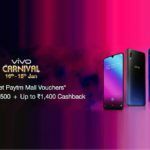 The Vivo Y93 has been launched in India at INR 13,990 and comes only in a single variant. Realme 2 Pro, on the other hand, comes in three different memory configurations. The base variant with 4GB of RAM and 64GB of internal storage is priced at INR 13,990. Realme has priced the middle variant with 6GB of RAM and 64GB of internal storage at INR 15,990, while the top-end variant with 8GB of RAM and 128GB onboard storage costs INR 17,990. Xiaomi Redmi Note 6 Pro is priced at INR 13,999 for the 4GB RAM + 64GB storage variant and INR 15,999 for the 6GB RAM + 64GB storage variant. The Vivo Y93 comes with a polycarbonate body with a premium-looking gradient finish at the rear. Realme 2 Pro is also made out of polycarbonate but the back panel has a glass-like finish that makes it look quite attractive. Xiaomi Redmi Note 6 Pro, on the other hand, offers a metal unibody design, just like its predecessor. Now let’s talk about the displays. Vivo Y93 features a 6.22-inch Halo FullView IPS display with 720 x 1520 pixels HD+ resolution and an impressive 88.6% screen-to-body ratio. 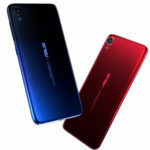 Realme 2 Pro sports a slightly larger 6.3-inch Dewdrop Full Screen IPS display with 1080 x 2340 pixels Full HD+ resolution and a 90.8% screen-to-body ratio. Xiaomi’s Redmi Note 6 Pro has a 6.26-inch Full Screen IPS display with 1080 x 2280 pixels Full HD+ resolution. While all three smartphones offer an attractive design, the Redmi Note 6 Pro has a slight edge in terms of build quality. When it comes to display, it is the Realme 2 Pro that edges out the other two with its higher screen-to-body ratio and resolution. While the Vivo Y93 launched in China is powered by a Qualcomm Snapdragon 439 12nm octa-core processor under the hood, the Indian version runs on a MediaTek Helio P22 octa-core processor instead. The octa-core processor has been coupled with 4GB of RAM and 32GB of onboard storage. Realme 2 Pro runs on a Qualcomm Snapdragon 660 AIE octa-core processor, coupled with up to 8GB of RAM and 128GB of internal storage. Xiaomi Redmi Note 6 Pro is powered by a Qualcomm Snapdragon 636 octa-core processor, just like the Redmi Note 5 Pro. Quite clearly, the Realme 2 Pro is the winner in the performance department, thanks to a more powerful chipset and up to 8GB of RAM. In the camera department, Vivo Y93 sports a 13MP + 2MP dual-camera setup at the rear with the primary sensor coupled with an f/2.2 aperture. The secondary 2MP sensor is used only to capture depth-of-field information for bokeh shots. Selfies are taken care of by an 8MP snapper on the front. Realme 2 Pro is equipped with a more impressive 16MP + 2MP dual-camera setup at the rear, with the primary Sony IMX398 sensor clubbed with a bright f/1.7 aperture lens. The smartphone also offers EIS for video recording, AI scene detection, Dual Pixel AF, and 4K video capture. For selfies, the handset has a 16MP snapper on the front with an f/2.0 aperture. 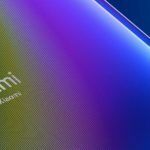 Xiaomi Redmi Note 6 Pro is the only smartphone in this group to have a dual-camera setup on both sides. It sports a 12MP + 5MP setup at the rear, while on the front it has a 20MP + 2MP setup. Similar to the Realme 2 Pro, the Redmi Note 6 Pro comes with various AI-powered features such as AI Scene Detection and AI Portrait 2.0. Thanks to the impressive dual cameras on both sides, the Redmi Note 6 Pro takes the win in the camera department. 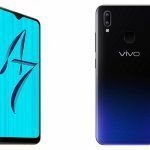 Vivo’s latest budget Android smartphone packs a high-capacity 4030mAh battery with a smart power management system to deliver impressive stamina. Realme 2 Pro, on the other hand, packs a 3500mAh capacity battery with AI Power Master feature to smartly manage power smartly. Xiaomi Redmi Note 6 Pro is fueled by a 4000mAh capacity battery, claimed to deliver up to two days of battery life. When it comes to software, Vivo Y93 currently runs on Android 8.1 Oreo-based Funtouch OS 4.5. 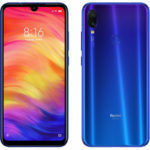 Realme 2 Pro runs on Android 8.1 Oreo-based ColorOS 5.2, while the Xiaomi Redmi Note 6 Pro runs Android 8.1 Oreo-based MIUI 10. 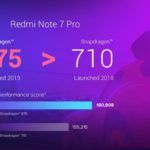 While there is no clear winner when it comes to software, the Vivo Y93 and the Xiaomi Redmi Note 6 Pro are clearly superior to the Realme 2 Pro in terms of battery life. The new Vivo Y93 is certainly quite an impressive device when it comes to design with its gradient finish and a waterdrop-style notch. Battery life is another area where the Y93 is very impressive, thanks to a large 4030mAh battery. In other areas, however, the latest Vivo Y93 is outclassed by both the Realme 2 Pro and the Xiaomi Redmi Note 6 Pro. Unless you are a Vivo fan, it makes very little sense to pick the Y93 over the more impressive Realme 2 Pro and Redmi Note 6 Pro smartphones.